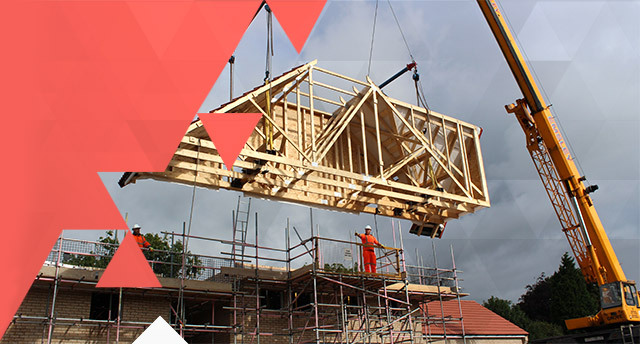 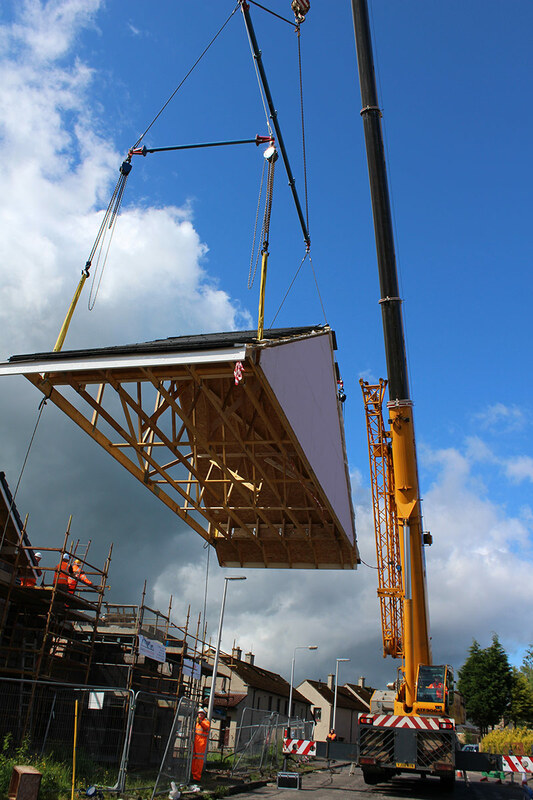 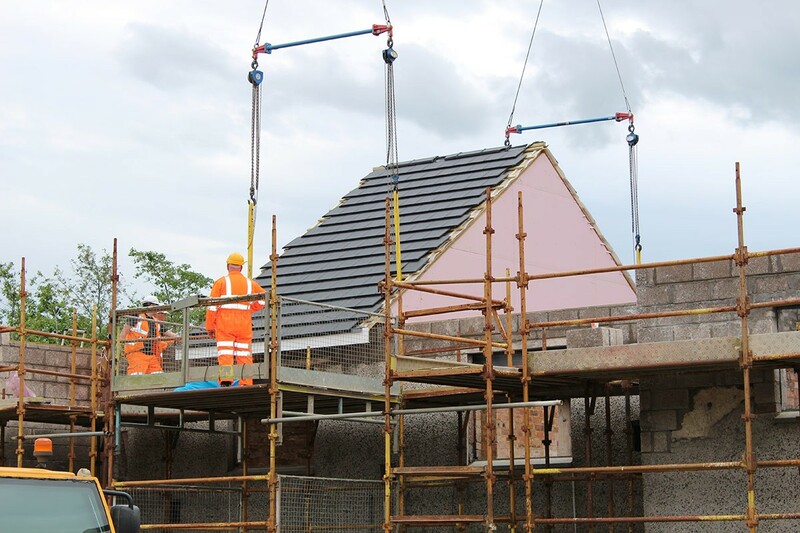 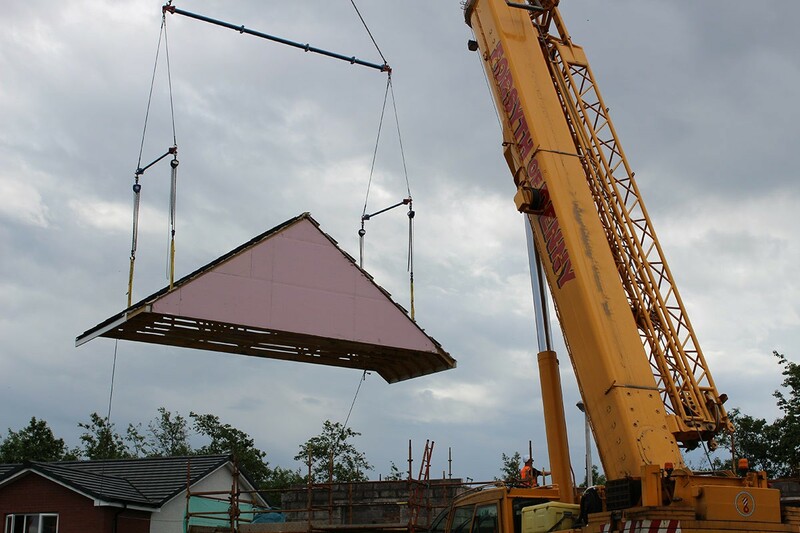 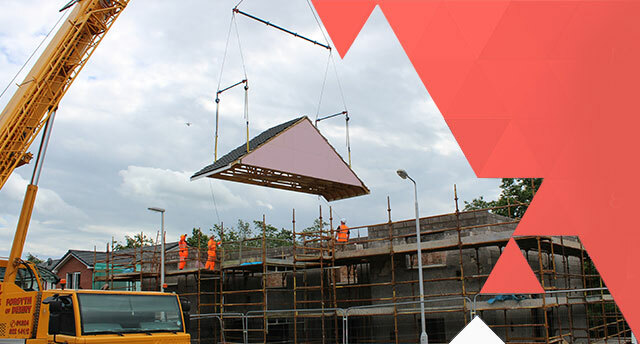 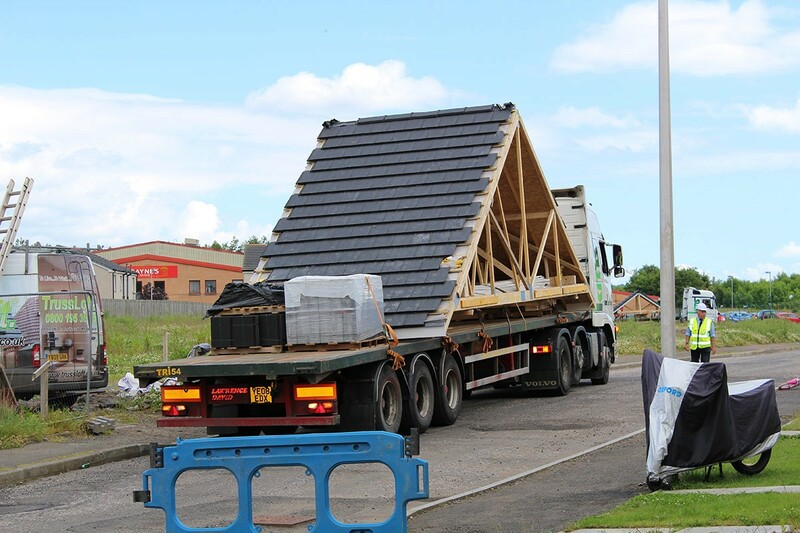 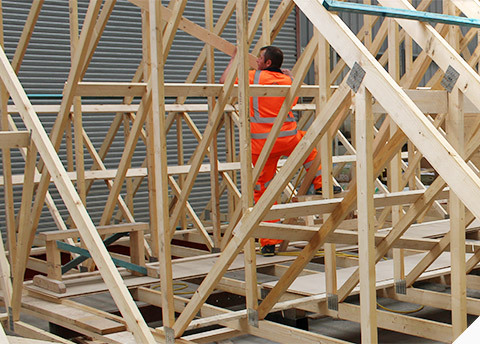 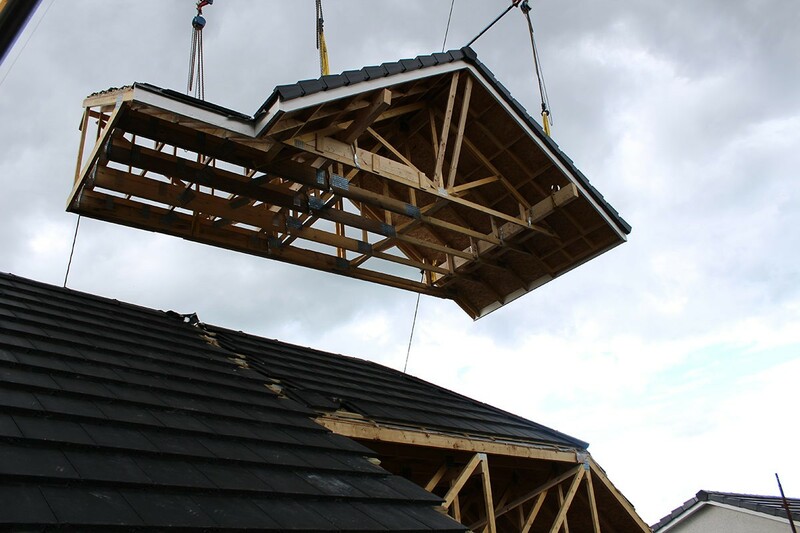 Offsite construction undoubtedly improves build speeds – single modules can be fitted in approximately two hours using the MODUROOF® patented lifting beam technology. 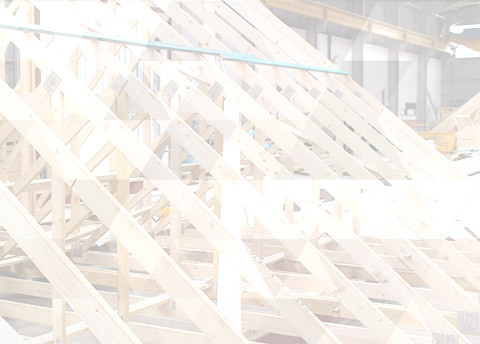 Complex Cold Roof on a newly refurbished block of flats featuring 4 projections. 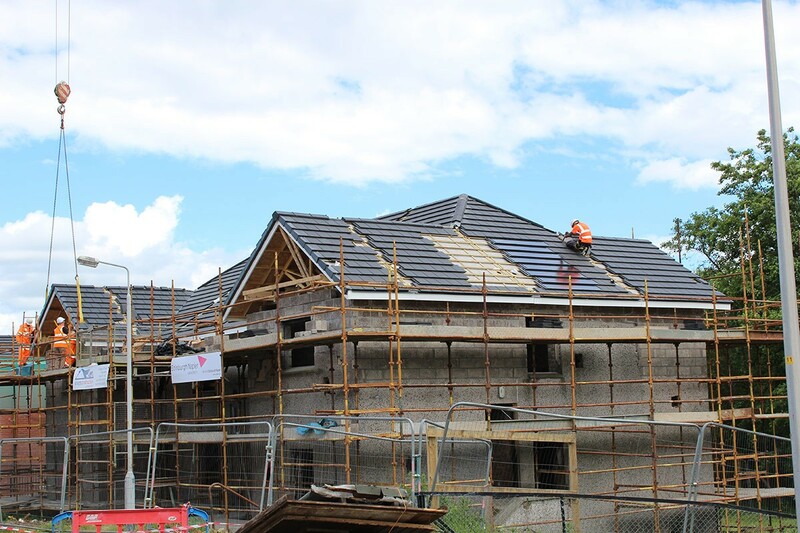 Redland Mini Stonewold Tiles incorporating Redland PV Tiles. 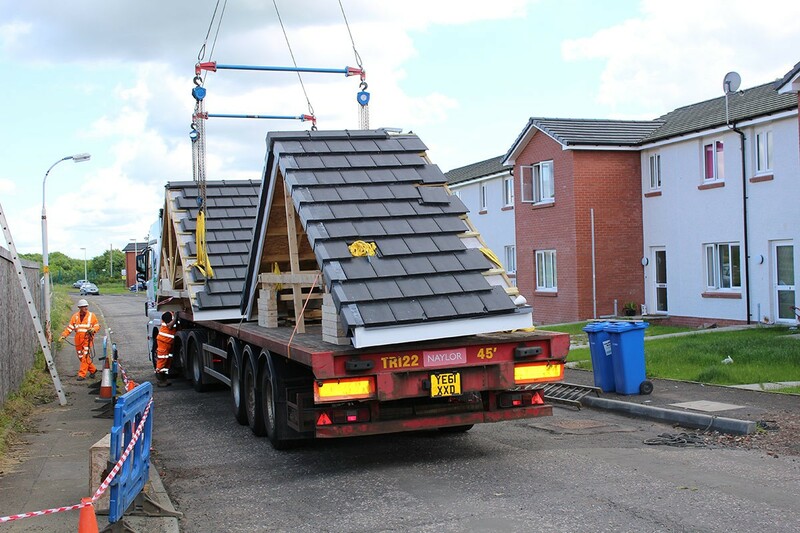 Installed in just over 1 day. 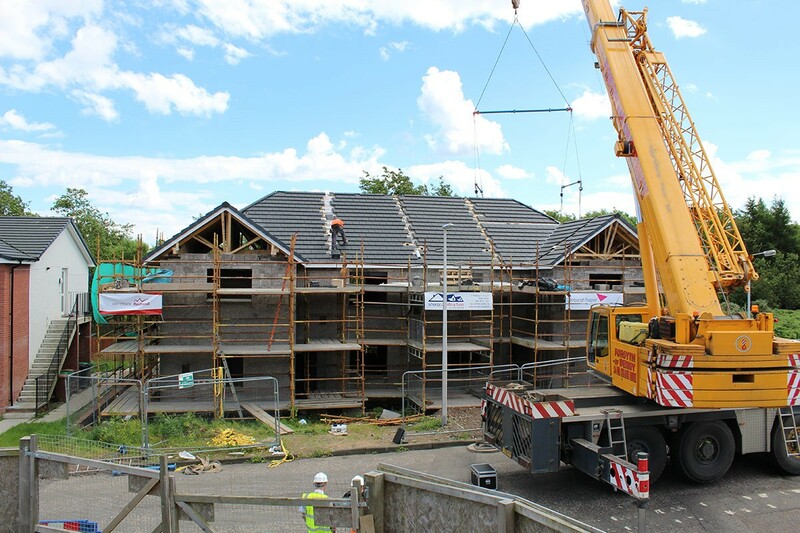 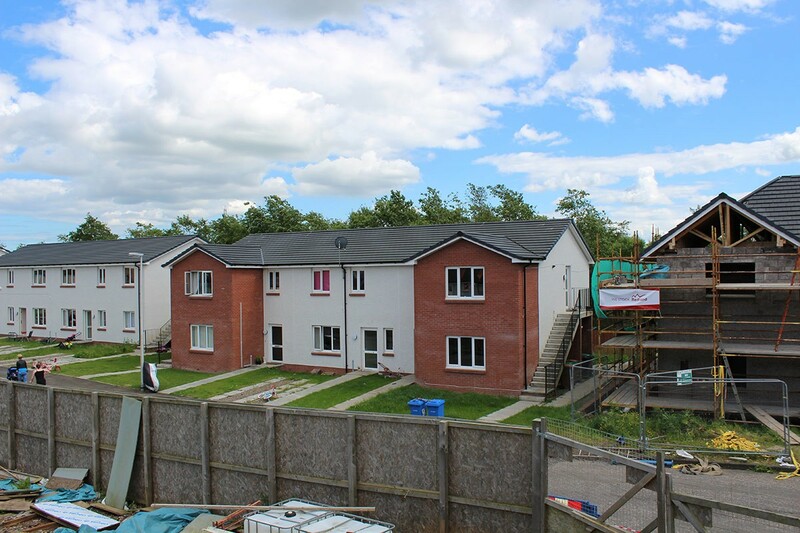 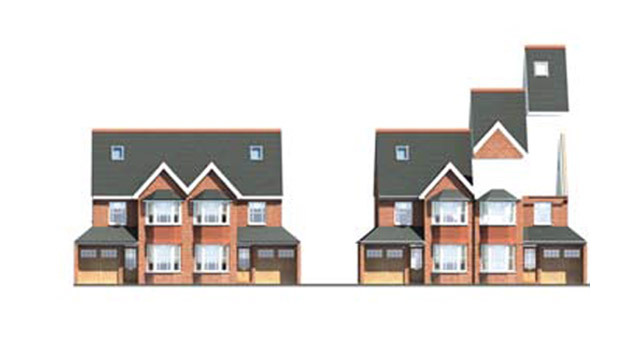 This was a social housing regeneration project in Lochore, Fife for Fife Council.